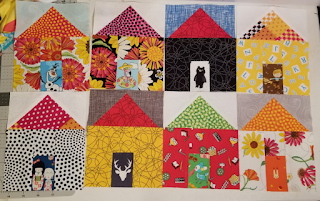 Kentucky Whittaker Creations: Sewing a Village: I'm joining - how about you? 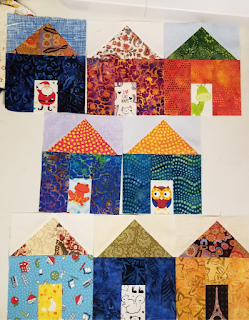 Sewing a Village: I'm joining - how about you? and the flu - all at once! I'm still not over it, but I am functioning a little better than I was a week ago! 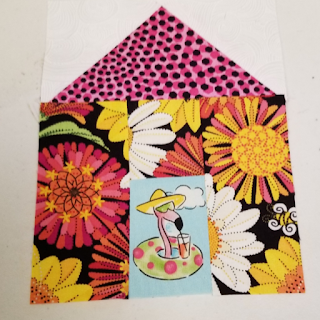 A month or so ago, I saw on Instagram where Stitch Supply Company was hosting a sew-a-long using the Village Quilt Pattern by Jumble. With this pattern, you create 132 individual houses. It's a great use of charm packs or your fabric stash. Seeing as one of my goals for 2018 was to try something new (cutting little pieces), then this would be a great thing for me to try. 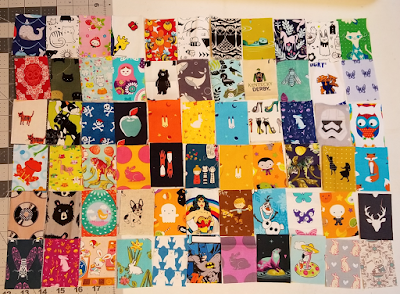 Also - I'm trying to not buy a lot of extra fabric, so I plan on using my stash for all of this. All of the houses have doors on them. My sister, Lisa, (who is sewing along as well) and I decided that it would be fun to fussy cut all of the doors. Instead of trying to cut out 132 different doors, we each would cut out 2 sets of 66 different doors - then we can trade! As I have said previously - I am not a fan of cutting - especially something that needs to be precise. 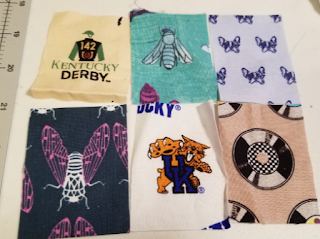 It was fun to see the final pieces of fabric, but I was really stressed when I was cutting. What about you - do you like to fussy cut? I was really pleased! I did find out that several of the dies from my Ready Set GO! Ultimate Fabric Cutting System worked great for cutting the pieces I needed for the houses. I was so excited! I have been able to fly through the cutting time and get straight to the sewing. My plan is to go scrappy throughout. My goal is to finish! 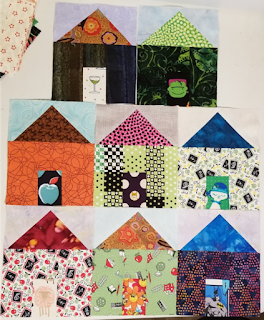 This will be the first quilt I finish that requires a lot of cutting and following a pattern. I'm so happy I decided to join. What about you? 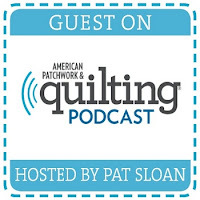 Do you want to join the sew-a-long? 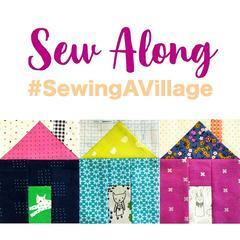 Get your Village Quilt Pattern, tag Stitch Supply Company on Instagram, and post using the hashtag #sewingavillage. Let me know on Instagram, too!